Custom suits are a great avenue when you need something truly special and unique. Sometimes special occasions require exceptionally special clothes! The style of a one-of-a-kind suit really helps you stand out. There are a few problems with shopping “off the rack”: you may not fit into the garment(s) exactly how you expect, you may not like the material or color the clothes are made of, or there may even be a defect in the clothing you’re looking at. We here at UWM Men’s Shop recognize these potential issues and offer our customers another option - custom suits. Our custom suits, produced mainly in Canada and Italy, are the best in the world. The tailoring of a suit is just as important as the material it is made of. High quality tailoring and construction yields a high quality suit - the same goes for the material composition of the suit. Luckily, we have some of the best tailoring and manufacturing staff in the world. We take high quality textiles and let our master tailor(s) work their magic! 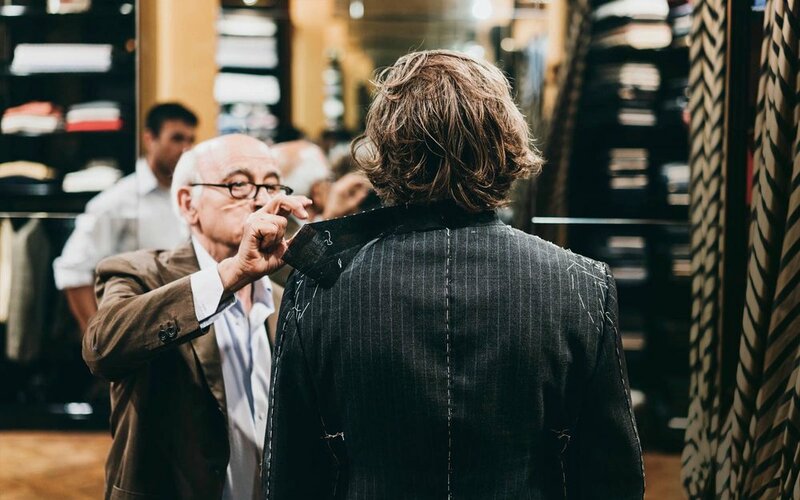 Conveniently, you - the customer - are involved in every step of the process when putting together your custom suit. First, you and one of our made to measure specialists will look at swatches to pick your ideal fabric (we have plenty of swatches varying in material and price). 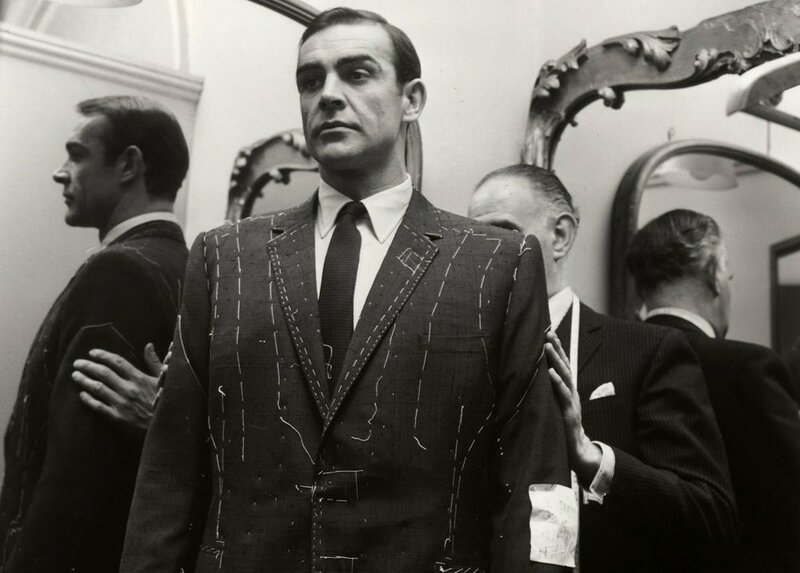 Then, we take your measurements for the suit to fit just how you like it to. We then fill out an order slip, send it into our manufacturers, and wait roughly six weeks for your suit to arrive! Our custom suits range from approximately $2,000 on up. The price is largely determined on the fabric you choose and the features on the suit. Check out all the options on your next visit into the store!